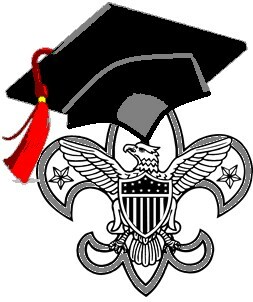 PRIOR TO REGISTERING FOR THE 2017 UNIVERSITY OF SCOUTING DOWNLOAD THE CATALOG AND SELECT THE CLASSES YOU ARE INTENDING TO TAKE FOR EACH PERIOD!!! University of Scouting is a supplemental training opportunity for all adult Scout leaders. It is the only time during the year where you can find, all in one place, the widest variety of training opportunities in all program areas (Cub Scouts, Boy Scouts, Venturing, Sea Scouting, Varsity Scouts, District Operations, and Council). Whether you are new to the program or a veteran of many years, the University provides interesting courses in Cubbing, Scouting, and Adventure and leadership training for Venturing, Varsity, and Sea Scouting; Electives courses applicable across the Scouting programs, and District operations courses. For 2017 we will be offering over 150 classes in five colleges – truly something for everyone. The College of Adventure Scouting is an interesting combination of courses for those who are wish to learn more about Scouting’s “senior” level programs and the challenges of an active high adventure experience. The College of Elective Programs offers many “general studies courses” that cut across all the programs. Just about everything from diversity and special needs to using technology can be found in the Elective Programs. Standalone Courses are those that are BSA national syllabus courses such as BALOO, VLSC(Y), VLSC(A), VALST, or are courses that lead to certification recognized and/or needed by the BSA. Note that standalone courses do not meet any degree requirements in any College.